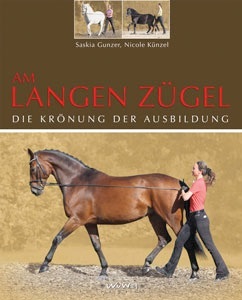 Recently a very interesting new book was published about the Work on Long Rein, by the German authors Saskia Günzer and Nicole Künzel: "Am langen Zügel - Die Krönung der Ausbilding"
With a introduction of Oberbereiter Andreas Hausberger! And with text contributions of Andreas and representatives of Jerez, Lisbon, Saumur. Although this book is published in German, it really deserves attention also in the English speaking world! This highly interesting publication offers a complete survey about this specific part of the Classical Art of Riding. With basic training conditions, exercises from A to Z, Do's and Don'ts. And many very informative pictures, quotes and advises. The authors emphasize that the Work on Long Rein is additional to riding/training under the saddle. And is, as the subtitle of the book shows: the crowning of the complete training of the horse. 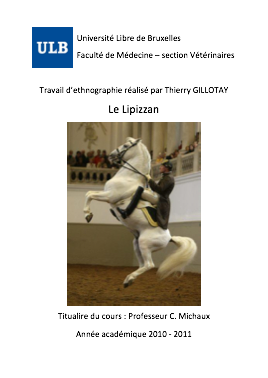 Both authors are experienced riders in the "classical corner", inspired by the 4 Classical Riding Institutions (Vienna, Saumur, Jerez, Lisbon), but also by German ridingmaster Richard Hinrichs. Both are training for some years now with Andreas Hausberger. For those among us who do not speak German: please encourage the German publisher Wu Wei Verlag (www.wu-wei-verlag.com) to provide an English translation! I assure you: this book will turn into the standard work for Long Rein exercise! 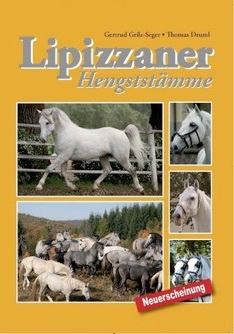 The Story of the Dancing Horses of Lipizza, by Laurel van der Linde. - Graz : Vehling Verlag, 2011. - 312 S. : zahlr.